At a towering 13 inches tall, the XXL Soccer Trophy is a significant symbol of excellence in the game of soccer, the world's most popular ball game. 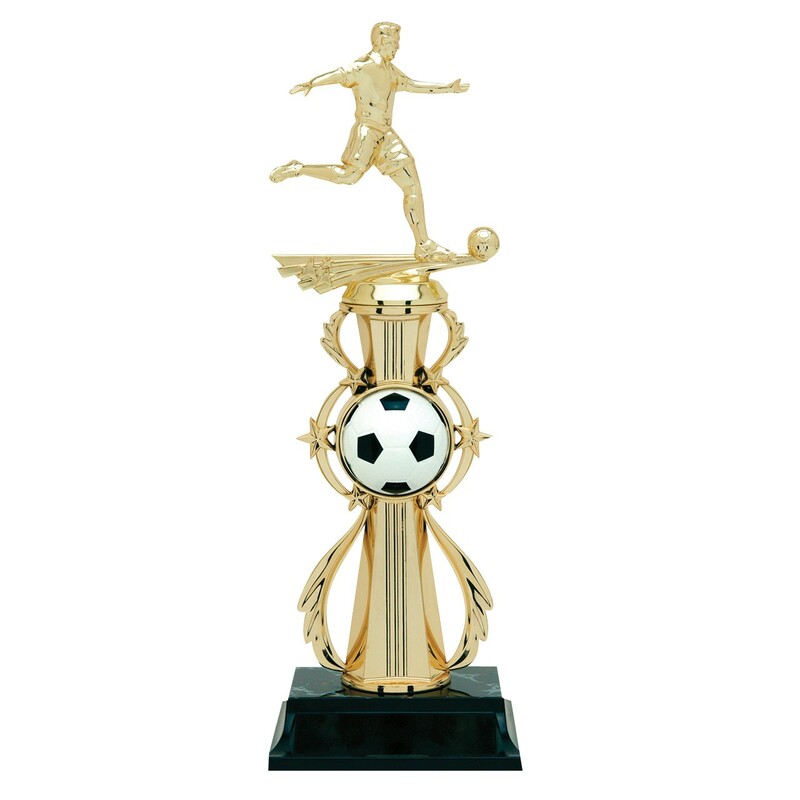 This soccer trophy features a gold figure about to kick a ball and perched on a 7-inch tall column pedestal on the middle of which is embedded a colored 3D soccer ball. 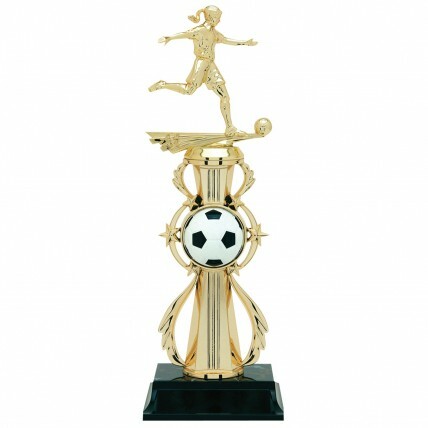 You choose between male or female soccer figure. 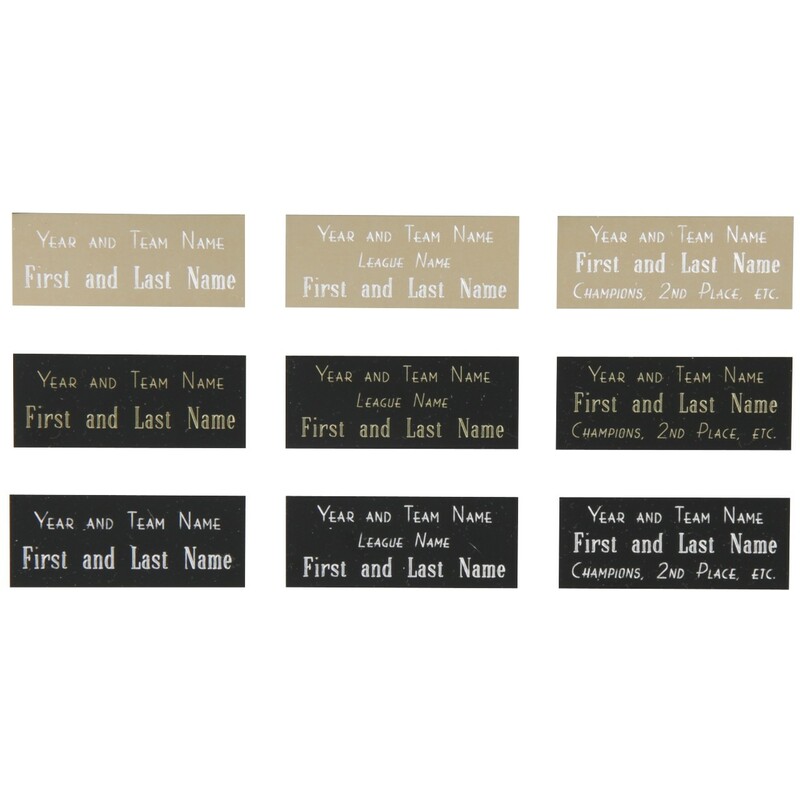 These soccer trophies include three free lines of engraving on a metal plate which must be attached by the customer.